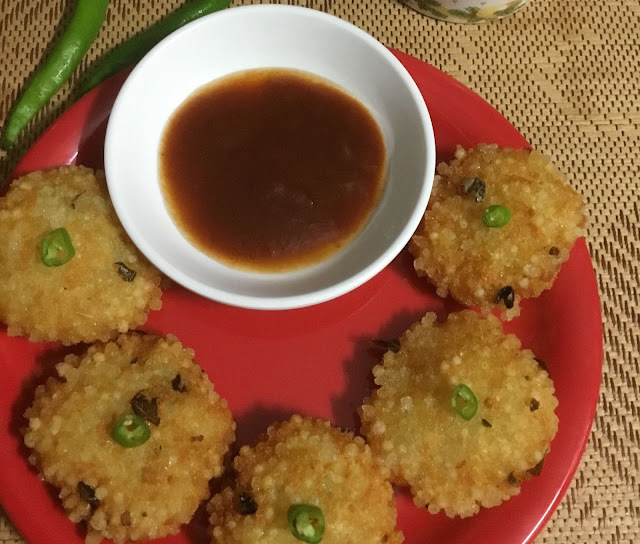 Sabudana vada is a perfect evening snack for your kids with simple ingredients in your kitchen. 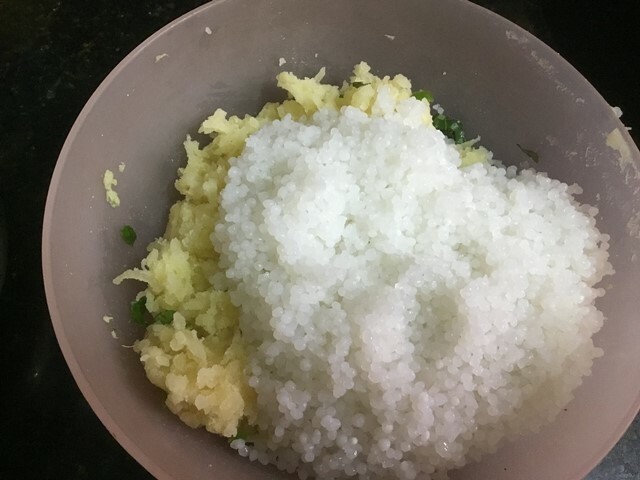 I learnt this recipe from Chef Prabhakar Prajapati. I actually cooked this vada for the first time and it was so yummy. It's perfect for an evening snack, potlucks and also for poojas. I prefer serving this vada with a simple coconut chutney or tomato ketchup, but you can serve it with anything. 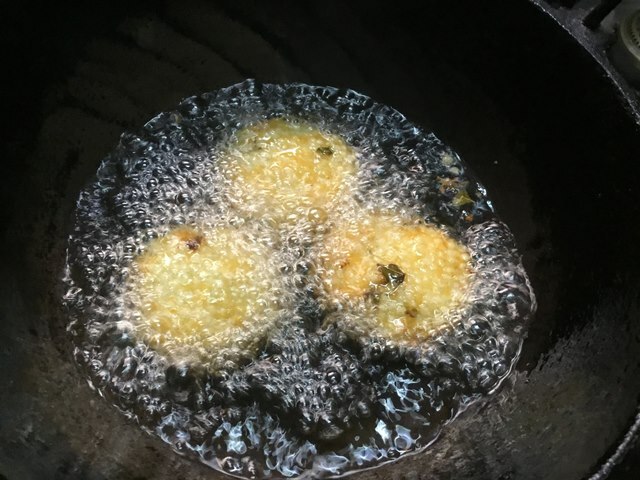 To make this vada as quickly as possible, I suggest to cook the potatoes and soak the sabudans in ahead of time. It saves your time and you can prepare the vadas within 15 minutes. Soaking the sabudanas for 3 to 5 hours will give you perfect vadas. Cook the vadas, right after you prepare the dough. For this vada no need to add any additional flours or batter. Always deep fry the vadas on medium heat and don't overcook the vadas. Don't forget to add chopped green chillies and ginger because these two ingredients add a lot of flavours to this vada. 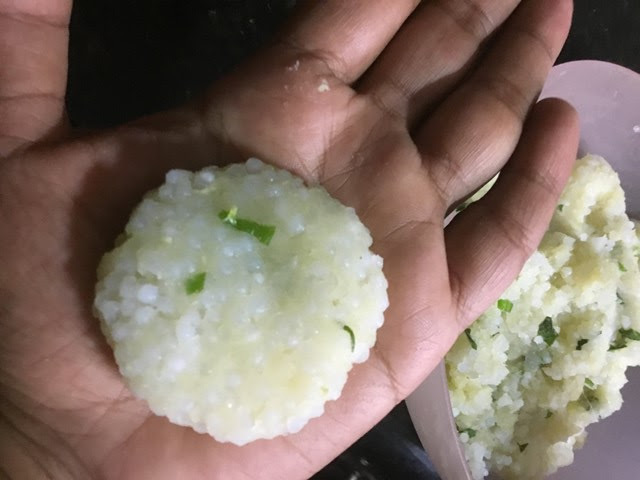 I have used the small sabudanas for this vada, you can use the big variety also. Wash the sabudana in water for 2 to 3 times and soak it with 1 cup of water for 3 to 5 hours. After 5 hours, drain the water completely. Cook the potatoes in a pressure cooker and allow them to cool down. Mash the potatoes well and keep it ready for making the dough. 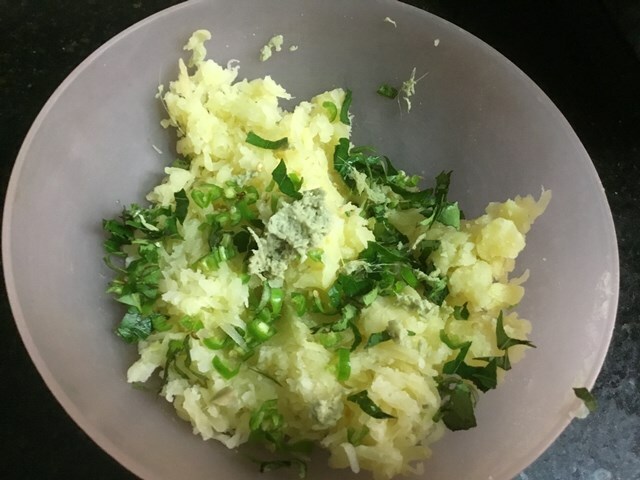 Combine the mashed potatoes and the chopped green chillies, grated ginger, cumin,lemon juice and chopped coriander leaves. 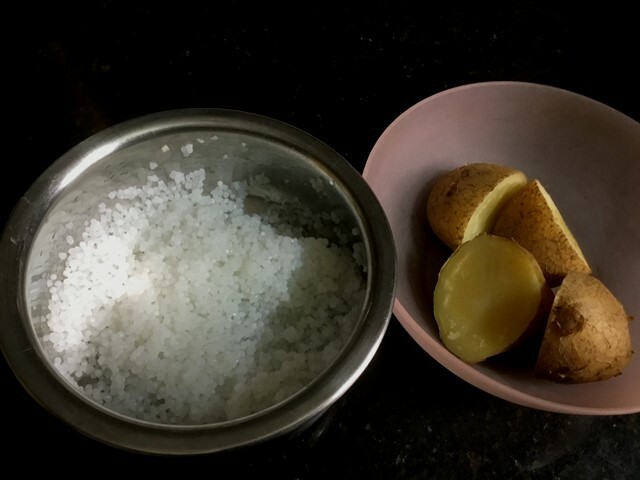 Add the required salt and the drained sabudana. Mix them gently. If the mixture is not easy to make vadas you can add a couple of drops of water to moisten the mixture. Taste and add a little more salt or any other flavours according to your taste buds. Form the mixture into medium round vadas. Heat oil in a frying pan on medium heat. Once hot, drop the vadas in the frying pan and cook for about 2 to 4 minutes on each side until golden brown. Wash the sabudana in water for 2 to 3 times and soak it with 1 cup of water for 3 to 5 hours. After 5 hours drain the water completely. Cook the potatoes in a pressure cooker and allow them to cool down. 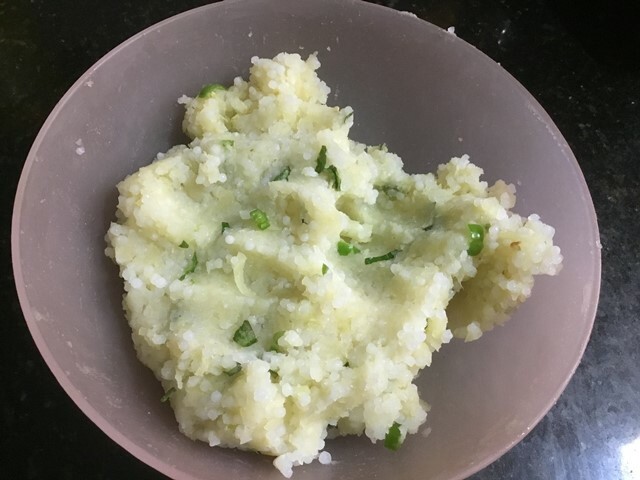 Combine the mashed potatoes and the chopped green chillies, grated ginger, cumin,chopped coriander leaves and lemon juice. 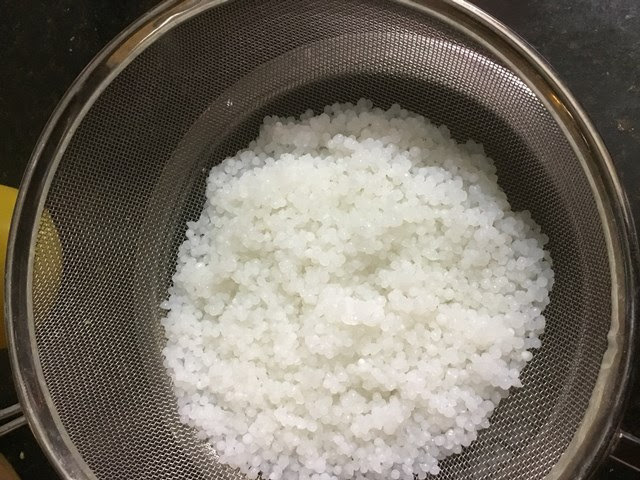 Add the required salt and the drained sabudana. Mix them gently. If the mixture is not easy to make vadas you can add couple of drops of water to moisten the mixture. Taste and add a little more salt or any other flavours according to your taste buds. Form the mixture into medium round vadas. Heat oil in a frying pan on medium heat. Once hot, drop the vadas in the frying pan and cook for about 2 to 4 minutes on each side until golden brown. 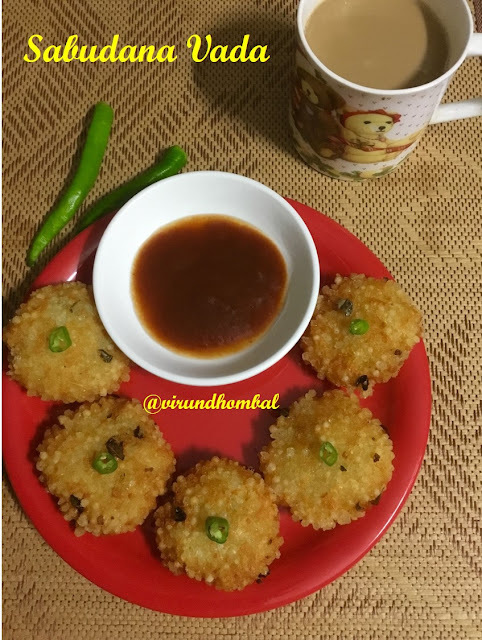 Transfer the vada to the serving plate and serve it immediately with hot cup of coffee or tea.